Physicist Stephen Hawking once said “However difficult life may seem, there is always something you can do and succeed at. It matters that you don’t just give up.” In this issue, hear how one of our employment program participants overcame doubt and fear and found a position doing what he loves. Then, get some fun facts about our local Coldest Night of The Year event and the hundreds of people who walked to help neighbours in need. Craig wasn’t sure he had the skills to find a new job. Here’s how he expanded his employment horizons through the Youth Work Experience Program. “Are you interviewing him?” she asks, pointing to Craig. And with that, this satisfied Morning Glory customer walks away, leaving Craig a little startled, but smiling. A short time ago, Craig wasn’t sure what he could offer an employer. Now he’s winning praise from both customers and supervisors. But it wasn’t an easy transition. Craig is currently enrolled in Ray of Hope’s Youth Work Experience Program. The program helps young people gain the skills they need to enter the workplace. While many of the program’s participants have had difficulty finding or maintaining employment, Craig has been working steadily for nearly 10 years. His parents split up when he was 15 and he began helping his mother in the family’s small janitorial business. Like many young people, he had dreams about a future career. Working as a janitor wasn’t one of them. Despite his misgivings, Craig signed up and began working through the three-phase program. In the first phase, participants learn about professionalism in the workplace, how to conduct an effective job search and more. But while Craig learned, he also wrestled with feelings of guilt over leaving the family business short-staffed while he attended the program. Talking to Lindsay Martin, the program’s Employment Counsellor, helped. The next hurdle came when Craig moved into the hands-on learning phase of the program. Saxon Guptill was Craig’s supervisor at Heffner Toyota’s Morning Glory location. “When I first met him, he was very unsure of his own abilities,” she says. But Saxon and Café Manager John Knight encouraged Craig to try new things without the fear of doing something “wrong”. And the trust they showed in him paid off. 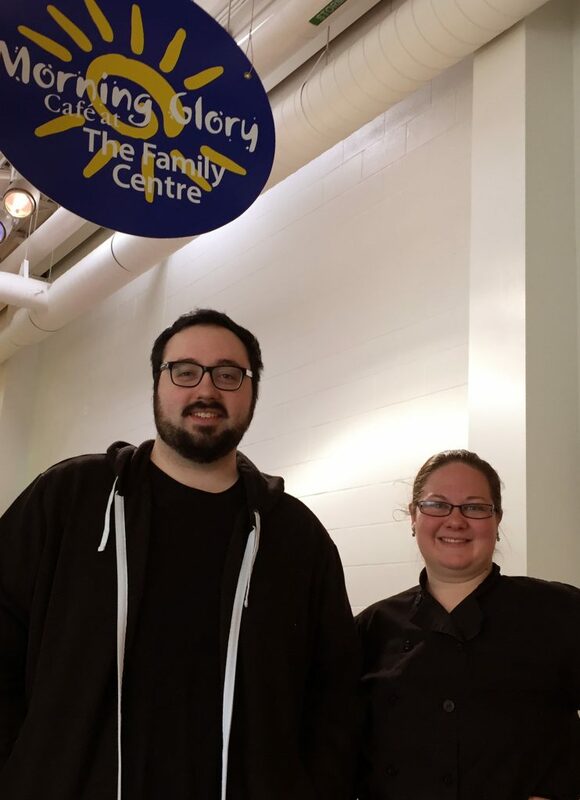 Three weeks into his time at Heffner’s, Saxon was asked to manage the new Morning Glory location at The Family Centre. She knew immediately who she wanted to take with her. After ten weeks at Morning Glory, it was time for Craig to leave the café where he’d become such a valuable employee and start the external placement. He’d heard good things about working at Staples and Program Director Sharlene Wallace arranged a placement for him at the office supply store. That is, as long as he was successful in the interview. Using the resume Lindsay had helped him create and the interviewing skills she’d taught him, Craig aced the interview. Craig is now about half-way into his placement and hopes he can continue with the company. Working as a technical sales associate, he’s responsible for assessing customers’ needs and helping them find products that solve those needs. His fellow employees haven’t just helped him on the floor, they’ve also invited him to social events and made him feel part of the team. And maybe most importantly, someone who once thought he was doomed to work in a solitary job now has the chance to use his incredible people skills to help others. Just like the lady at Morning Glory. Are you someone between the ages of 15 and 29 who’d like to learn more about the Youth Work Experience Program? Are you a business owner interested in exploring the benefits of our program’s employment placements? Are you a social services professional who’d like to refer a client to our program? If so, please contact Sharlene Wallace at 519-502-6636 or swallace@rayofhope.net. Police Chief Bryan Larkin and students from Centennial Public School in Waterloo head out on the Coldest Night of the Year walk. See more photos from the Kitchener event on the CNOY site and on Facebook. On February 24th, people across Canada walked in the Coldest Night of the Year event to raise money for homeless, hungry and hurting people in their communities. This national fund-raiser started eight years ago, right here in Kitchener-Waterloo. Funds raised at the local event support the work of the Ray of Hope Community Centre (ROHCC) and every year we’ve been blown away by the dedication and generosity of our walkers, donors, sponsors and volunteers. 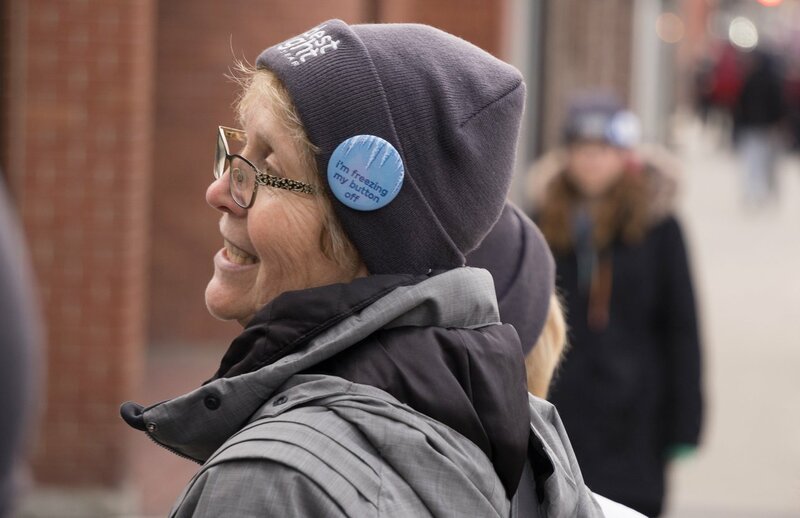 This year, more than 650 people hit the streets of KW – more than any other CNOY location in Canada – and raised more money than any other location except Toronto. These amazing walkers, supported by 2,049 generous donors, raised $167,375 that will help us continue to provide meals, spiritual care, social opportunities and so much more to our neighbours in need. Thanks to everyone who walked, donated or volunteered! Largest team: Grandview Go-Getters with 62 members – the largest team in Canada! Next year’s event will be Saturday, February 23rd. We look forward to seeing you then! We’re hiring! Please pass this information on to anyone who might be interested in these positions.